The Mitsubishi Mirage continues to be a small car that you can rely on to get you where you need to go. This car is offered in its regular form, which is a hatchback, but if you want to enjoy the benefits of a sedan, the Mirage G4 is the choice you want to make. This little car has a small and efficient powertrain to save you money when you drive and its offered with an impressive ten-year/ 100,000-mile powertrain warranty to give you the peace of mind you want when you drive. Are you looking for a car that can offer you an easy way to handle the daily commute you want to enjoy? If so, you need to take a look at the Mitsubishi Mirage G4 offered from the best of the dealers in the New Orleans, LA area. 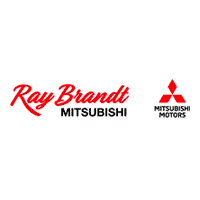 Stop by and let the team at Ray Brandt Mitsubishi help you have this car as the one that you’ll want to enjoy when you drive. This sedan can be the one that makes driving better for you when you need an easier daily commute. If you choose the Mitsubishi Mirage G4 as the car you want to drive, you’ll notice a couple of changes that will make it an even better place for you to have the drive you want. The ES model now has cruise control and a height-adjustable driver’s seat to give you the position from which you want to drive. These are important features for you to have the comfort and the ease you want when you get behind the wheel to take this little sedan for a ride on the roads in your area. Mitsubishi has always been able to offer you the technology you want, so it should be no surprise that you’ll find Apple CarPlay and Android Auto in the Mirage G4. Let the best of the dealers in your area help you see how this car can be the right choice for you on the roads in New Orleans, LA by showing you how to connect your smartphone using these programs. With this connection, you’ll be able to see the apps you make use of every day and know that you can have an enjoyable drive. The team at Ray Brandt Mitsubishi has the Mirage G4 that you want to drive. As the leading one of the dealers in the New Orleans, LA area, you’re going to want to see what this team has to offer you today. You’ll be amazed at the savings and financing offered that will make this little car the one you choose for your daily drive. Stop by and take the Mirage G4 for a drive today to see if it can be the right choice for you to enjoy your commute every day.